People used to tell us as that as we grow older the years will seem to pass faster. I guess in someways that’s been true. We look at our children lives and see both of our boys now in their 30’s we find ourselves thinking back where we were living at their ages. This is even more true too now that we have two grandchildren. But when we do look back we see all God has done in our lives, all the places we have lived and how faithful God has always been in our lives. Even now when we see the flooding in Texas and Hurricane in Florida we realise that we have so much to be grateful for. So even though we in the last four months of 2017 we are thrilled all that has happening in the minister over here this year. These last four months are going to be exciting too as we have so many opportunities to help start more churches. Thank for helping us do what we do. In the last couple of weeks I have been to the nations of Slovenia, Albania and Kosovo. It’s been so wonderful to see some of the churches that we have helped to start in the past and see how they are impacting their cities and towns. Here I am pictured with my Albanian Pastor friend, Hervin. 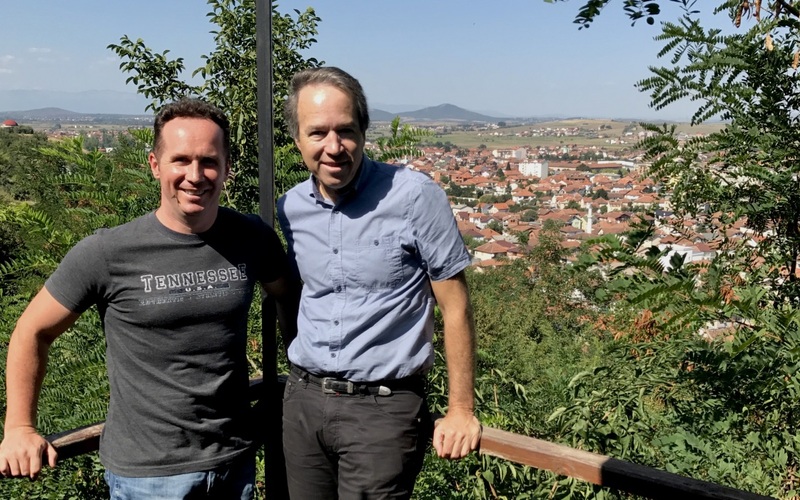 We have worked alongside Hervin for over fifteen years to help him start over ten churches in Albania. In the coming years we want to do many more. Click the link below to find out more about how we help start these churches.